If you are a beginner in mobile technician and wondering about, how you can enable "Developer Mode or Developer Options" and "OEM Unlock" on any Android device, then you are in correct place to know the process. 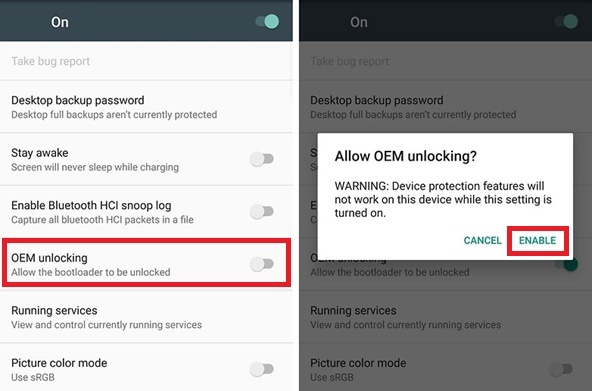 Here is the complete tutorial and step by step process to enable Developer Mode and OEM Unlock to do a hard reset of Android devices, which helps you to remove "Factory Reset Protection" (FRP) on the particular device. To enable OEM unlock first you need to enable Developer Mode on the Android device, which is normally not available for normal users. The enabling of Developer Mode is easy, what you need to do is just follow the below steps and in some Android devices it's slightly different but here you can get a overall idea about "Developer Mode" and OEM Unlock on any Android devices, see the below details and follow it carefully. Specially we are talking about Android Operating system, which runs on various smartphones of various manufacturers. That means here we will discuss about how to enable "Developer Mode" and "OEM Unlock" on any Android Smartphone, the steps to enable developer mode may be slightly differ on basic of Smartphone brand or manufacturer of the Smartphone, but you will get straight process and fundamental idea to enable developer mode on any brand Android smartphone, so please follow the process below. As now a days there are so many electronics devices use Android platform to run the device smoothly with improved features but to clarify, here the word "Android Device or Devices" is refer to the Android Smartphones and Android Tablet, runs on Android Operating System. 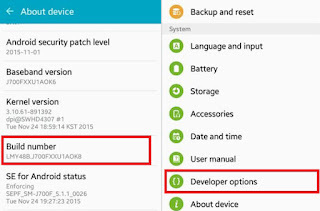 How to Enable Developer Options on Android Smartphone? 2- Then click on Software Info and Now tab on "Build number" 7 times to enable Developer Mode. 1- Basic Android Smartphone or Stock Android: Settings > About Phone > Build Number. 3- LG Developer Mode: Settings>About Phone>Software Information>Build Number. 4- HTC Developer Mode: Settings>About>Software Information>Build Number. How to Enable OEM Unlock on Android Smartphone or Tablet? 1- First enable Developer Mode (See the above Process to enable Developer Mode on Android Phone or Tablet). 3- Now click on OEM Unlock it will ask Enable OEM Unlock click on ENABLE.